Mrs Wellington in a documentary titled, ‘The Wellingtons’ and aired on Dstv disclosed that she wasn’t looking out to date or marry anyone in the entertainment Industry until Banky W came along and changed her perception. According to her, Banky’s first message to her made her laugh which guaranteed they were going to get along. “I wasn’t planning on getting married to anyone in the industry … And here comes this one (Banky), and he completely shattered all my plans. “But when he proposed to me, it was yes. It was an instant yes. I didn’t even think twice about it. “We are pretty much on the same page because we know what we both want, the kind of family we want. ”I keep emphasizing about the importance of memories. It wasn’t just about us getting married, it was about sharing our experience with other people. 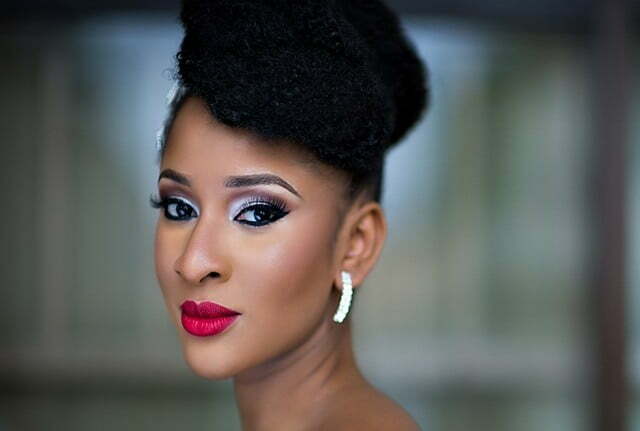 On why she had traditional wedding in Lagos and not in Benin city as tradition demands, Adesua said, “All my family members are in Lagos. Every one of them”. “We opted for Lagos so as to make it convenient for everyone who wanted to be at the wedding.